HTML5 Dashboards on the iPad with InfoBurst and InfoBurst Apps. We are often asked “how do we create amazing Business Intelligence Applications”? … Watch the video on Youtube. Developing with HTML5 allows for amazing visualizations of data. Thanks to InfoBurst Apps, data vitalization is made easy. As many businesses start to explore HTML5 and the “open web” for their future interface for Business Intelligence applications, InfoSol made a major announcement today at their IBIS 2012 seminar that will make that a whole lot easier to achieve. The unveiling of InfoBurst Apps was met with great excitement after a jaw-dropping live demonstration showed how combining HTML5 based interfaces with the InfoBurst platform can provide the next generation of dual mobile / web , “deploy anywhere” BI applications. Today, the InfoBurst® Platform is widely used as a data source for Xcelsius Dashboards where it can provide very fast access to large volumes of cached data and also read/write to any database in real time. InfoBurst® provides tools to create and manage Applications where a cache can be selected together with any blocks or queries that are required and InfoBurst will auto-generate a template that can be used by a developer to “wire-up” the logic required. Applications are hosted on the InfoBurst Server (apps.infosol.com) and can be accessed by any browser (including mobile) but to improve the user experience on iPad, a new Application will be available in the App Store soon that will allow a user to easily view and launch from the available InfoBurst Apps on a selected server plus provide additional features such as local caching and annotation where a user could highlight an area on the screen and send a screen-capture via Email. “Mobile Business Intelligence is hot right now and with the new InfoBurst® Apps announcement it’s going to get a lot hotter“, said Paul Grill, President & CEO of InfoSol, “Most businesses and institutions want to design and develop customized mobile and web business intelligence dashboards and applications rather than use pre-determined views. InfoBurst® Apps provides the platform to make the management and functionality of those applications more powerful and versatile for both enterprise and small deployments alike”. 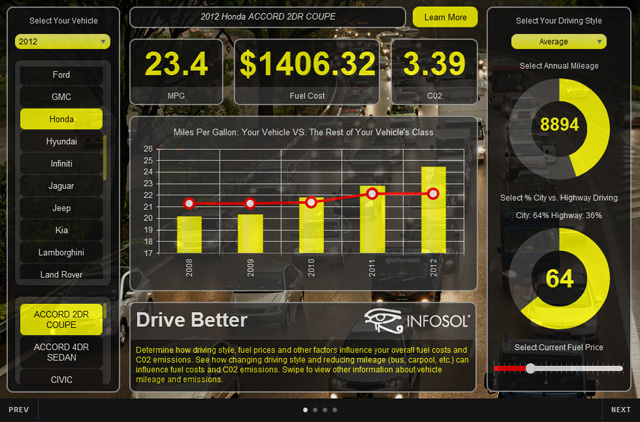 Previous InfoSol Dashboard Awards 2014 – Get Visualizing! Was this dashboard developed in Xcelsius/dashboard designer 4 or the latest version of Xcelsius? @Mayank, it was developed in HTML5. I love it too. Glad you like it. It would be awesome if Xcelsius has something like this..
Xcelsius is a great dashboard design tool. The challenge is deployment of Xcelsius (Flash) on mobile devices like iPads. HTML5 is a cross-platform technology, which means it will work in any browser (desktop or mobile). 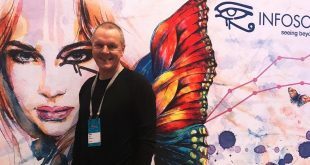 SAP are moving toward HTML5 with Xcelsius and InfoBurst has adopted this model to provide true cross-platform data visualization using XDC (cache). This technology is so compelling because it leverages the power of the open web. Imagine dashboards that incorporate the best elements of web design, social media like Twitter and video. We’re excited to see the potential of this technology in the hands of our creative users. SAP presented a statement of direction on Dashboards back in April. The following blog post details their intentions with Xcelsius and HTML5. Nice use of the Kendo UI. We are also doing work with converting Xcelsius dashboards to HTML5 and utilizing tools like jQuery, so I found this update to be very interesting. Hi Josh – Yes we are also seeing a lot of interest for HTML5 based dashboards, particulary for iPad deployment. The real value of InfoBurst Apps though is the platform that provides the automatically refreshed XML data cache for large amounts of data, fast performance and cool features like write back.